Read and Explain the PREAMBLE on the occasion of 125th Birth Anniversary Celebrations of Dr.B.R.Ambedkar on 26-11-2018. Ref: Circular Circular Me mo.No:692810/Protocol.B/2018, Dt: 22.11.2018 of the Govt of Andhra Prade sh Ge ne ral Administration (Protocol.B)De partme nt. a. The pre amble of the Constitution may be re ad out in all the office s and Educational institutions in the State . b. The ce le brations of the constitution day may include othe r activitie s like organizing mock parliame nt, e ssay/de bate compe titions and le cture s e tc. 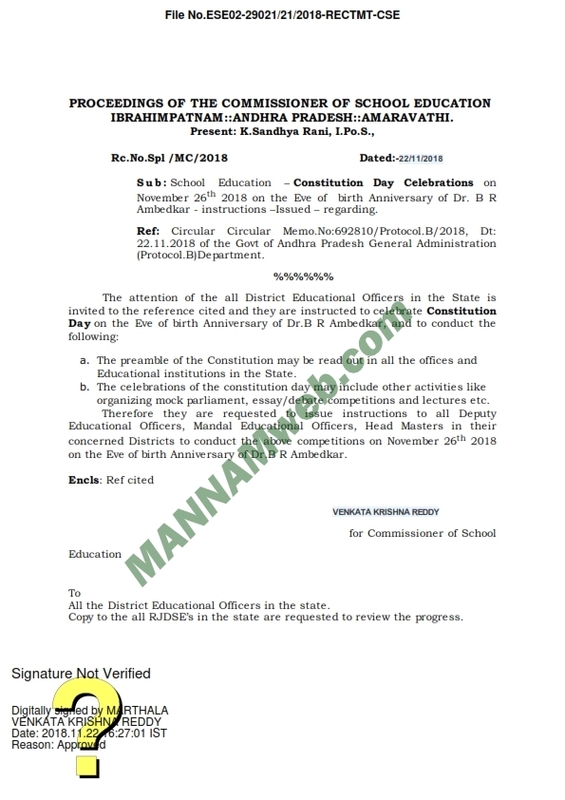 The re fore the y are re que ste d to issue instructions to all De puty Educational Office rs, Mandal Educational Office rs, He ad Maste rs in their concerned Districts to conduct the above compe titions on Nove mber 26th 2018 on the Eve of birth Annive rsary of Dr.B R Ambe dkar. 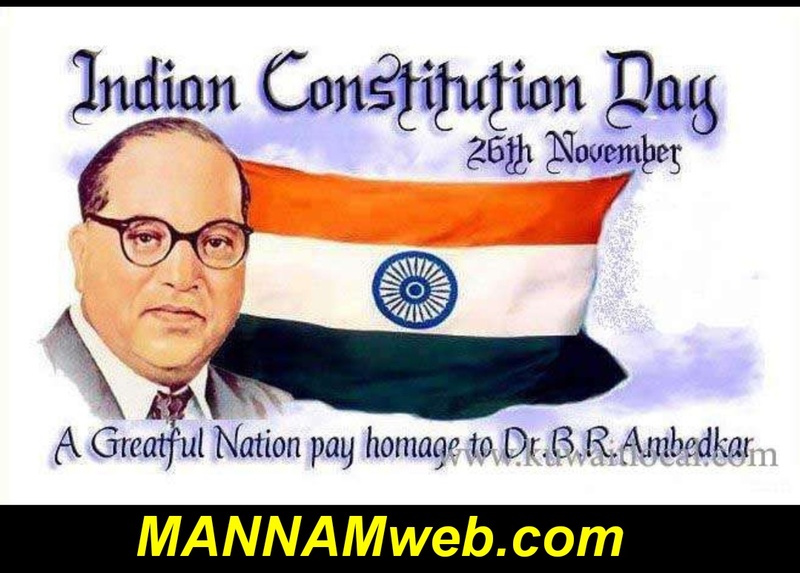 Download....and Read the PREAMBLE on the occasion of 125th Birth Anniversary Celebrations of Dr.B.R.Ambedkar on 26-11-2018.